One of the smartest men I know in all of commercial mortgage finance is Jay Rollins of JCR Capital - an opportunity fund making bridge loans and opportunistic commercial real estate loans nationwide. If I am a minor guru on the subject commercial mortgage finance, then Jay is a guru's guru. As recently as five years ago, I personally flew out to Denver and paid Jay Rollins oodles of money, just to sit down with me for a single day and explain advanced commercial real estate finance. It was worth every penny. Jay Rollins is one those big-brains who is able to take a complicated subject and reduce it to layman's terms. Jay Rollins recently released his company's annual commercial mortgage market outlook, and he was gracious enough to allow me to republish it below. Please study it carefully. His observations are always right on the money. 1. 2011 is the year we’ve been waiting for: The resurgence of the conduit market, a steady flow of bank notes, and an improving economy have sparked the beginning of the “new normal” era. 3. The deleveraging process: While trophy assets have increased in value due to investors chasing yield, non-trophy assets continue to go through a painful process of deleveraging that will take years to complete. 4. Capital: New capital is forming but it will not be able to compensate for the capital lost in the financial meltdown of 2008. 5. Macro economy: The “double dip” recession fears have subsided. Interest rate increases and lagging job growth are the two biggest potential land mines. 1. Note sales: 2011 will be the year of the DPO (discounted pay off) and note sale. If you have been waiting, the time is now for discounted note payoffs and third party note sales. 2. Extend and pretend is over: Legacy lenders are tired of extending with no hope of repayment. The market has recovered enough to where lenders are pushing borrowers to solve their problems. Recapitalizations will now occur in earnest. 3. Distress is not going away: The government’s “Save the Banks” policy and the slow methodical process of the CMBS special servicers have ensured a pipeline of distress that should last at least 36 months. Cap rate compression: Cap rates have compressed on the best assets – this has compression has occurred due to investors chasing yield, not due to real estate fundamentals. Compressed cap rates are occurring on “trophy assets” in gateway cities that have an excellent location and great rent rolls. Real estate assets that do not fall into this category have wide variations in pricing, leverage, and structure. Government subsidized products: All paved roads lead back to the government. If there are government subsidies, capital will follow. The bottom? We have hit the bottom and we are standing on it. The question now is, how long will we stay at the bottom? Assets continue to trade below replacement costs, new construction is very limited, and predicting occupancy and lease rates going forward will be challenging. o The projection for 2011 is $40-50 billion, down from the peak of $250 billion. The question is, will the underwriting constraints significantly change (loosen), and when? Banks: Bank closures are going slowly. Most banks serving the middle market continue to struggle with legacy assets on their balance sheets. Banks who serve the middle market will not be a capital factor in 2011. Life companies: With no competition in the past few years, life companies will begin to feel the conduit pressure. Government agencies: Government subsidies on multifamily loans are worth 200-300 basis points in cap rate value. While one can question whether or not this is good government policy, it’s good for those in the multifamily business. Private capital: Private capital is forming and will continue to form in order to take advantage of the capital dislocation. Private capital is not highly leveraged, which causes rates to be higher than historical norms. As leverage comes back, private capital rates will decline. For now, expect 7-14% depending on product type, location, sponsor, and asset strength as the norm for private capital. New York/DC: Class A properties in these urban markets have recovered. Lenders will drop rates and increase proceeds in order to be in these markets. Other major markets: Pick your name – “gateway cities”, “coastal cities”, “24-hour cities”; they are all a cut above the rest in the eyes of the capital providers. “Everywhere else”: These secondary and tertiary markets are not getting a lot of attention from capital providers. Nonetheless, these are the markets of opportunity with for those with local expertise, capital and a sound business plan. Occupancy and rental rates: Without job growth, properties will continue to cannibalize each other. 1. Financing illiquid sponsors who know local markets and control the assets. 4. Buying and financing “non-trophy” fee simple real estate at a reduced basis. Jay Rollins is the President of JCR Capital, a real estate finance company that specializes in providing debt and equity to middle market transactions. Please see www.jcrcapital.com for more information. Are you an accredited real estate investor? What are you doing with your IRA? Have you ever considered investing in first mortgages? Download a free list of 200 commercial mortgage lenders. Just go to CommercialLenders.com. Do you need a commercial real estate loan right now? You can submit your commercial loan to 750 hungry commercial lenders in just four minutes using C-Loans.com. And C-Loans is free! Are you a mortgage broker? Get our free, commercial loan placement kit - including a list of 200 hungry commercial lenders, a commercial loan placement checklist, an important whitepaper on how to find banks that are not afraid to make commercial loans, and a special bonus video on structured finance. What on Earth is a Mezzanine Loan? What is Preferred Equity? I just finished recording a ten-minute primer on structured finance - including mezzanine loans, preferred equity, and venture equity. If you have ever wondered, "What on earth is a mezzanine loan?" or "What is preferred equity? 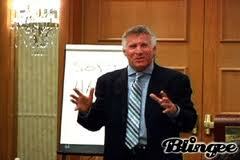 ", this short video will explain in layman's terms what they are about. Do you need a commercial loan or a mezzanine loan? You can apply to 750 commercial real estate lenders in just four minutes using C-Loans.com. And best of all, C-Loans is free! Are you an accredited investor? Have you ever considered first trust deed investments? First mortgage investors can earn 11% to 13%. Download a free list of 200 commercial lenders. Visit CommercialLenders.com. If you are trying to buy a foreclosed property in California or a portfolio of REO properties in California, Blackburne & Sons is very interested in financing your purchase. If you are buying a single foreclosed property or an REO in California, you may qualify for a bridge loan of up to 60% of the actual purchase price. The rate is typically 8.9%, and the loan fee is 3.5 points, for a one-year fix-and-flip loan. The maximum loan is $10 million, and these bridge loans have no prepayment penalty. We're sorry, but this program is ONLY available in California. For more details on our California fix-and-flip loans, please email me, George Blackburne III, the founder and president, at george@blackburne.com. In the subject line of the email, please insert REO Loan Request, and please be sure to include your phone number and a brief description of your deal. 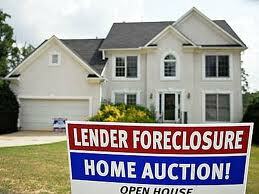 If you are buying a portfolio of foreclosed properties or REO's, our California line-of-credit program is very useful. You can use it to buy several REO's at a time, and as the properties sell off, you can re-use the line-of-credit to purchase more. The pricing is typically the same. We're sorry, but this line-of-credit program is only available in California. Please take careful note - ONLY IN CALIFORNIA. We don't even know of another lender offering a similar line-of-credit program outside of California, so there is no point in applying. For more details on our line-of-credit program for the purchase of California REO's, please email me, George Blackburne III, the founder and president, at george@blackburne.com. In the subject line of the email, please insert Line of Credit To Purchase REO's. Please be sure to include your phone number and a brief description of your deal. Are you an accredited investor? Where are you investing your IRA? Our first trust deed investments are yielding as high as 11% to 13%. Blackburne & Sons was founded over 30 years ago. Is your commercial loan bankable? You can submit your commercial loan application to 750 different commercial lenders in just four minutes using C-Loans.com. And C-Loans is free! Download a free list of commercial lenders for your state at CommercialLenders.com. I received an interesting email this week from a mortgage broker who was pulling his hair out in frustration. Advance fee scammers keep conning his innocent borrowers into sending in large application fees for commercial mortgage loans - and then the scammers disappear without ever delivering the promised loan. It's not as if the borrower simply did not qualify for the requested commercial loan. The whole act was merely a charade from the very start. The scammer had absolutely no ability to lend millions of dollars. The con man was probably just working off of his laptop from a desk in his short-term rental apartment. Advance fee scams have been around for years, and most borrowers, investors, and mortgage brokers have learned to be wary of them. But as my mortgage broker put it, "Ah, but scammers are nothing if not resourceful. Many of them have begun to advertise, 'No up front fees whatsoever, just the cost of the appraisal!' Such a deal!" "Turns out, this is a form of stand up comedy.... What it really means is, they now load their preposterous fees into the cost of the 'appraisals' which, coincidentally, can only be performed by their own, enlightened, specially-designated, one-of-a-kind "appraiser' or 'national appraisal management company'. And of course, with still no reasonable expectation of funding an actual loan..." What he means is that you send in a check for the appraisal, and then the scammer simply keeps it and stops returning your phone calls. Ask your lender if you can pay the appraisal company directly. While your lender may complain about the additional hassle, if you really push him, a legitimate commercial lender should be willing to bow to your request. Certainly my own commercial hard money shop, Blackburne & Sons, would allow it (after some complaining). The lender will insist on ordering the appraisal himself, in order to avoid collusion between a corrupt appraiser and a bad-intentioned borrower; but a legitimate commercial lender should be willing to allow you to pay the appraiser directly. Once the name of the appraisal company is disclosed, check the company out. Are they licensed as either an MAI appraisal firm or at least a General Certified appraisal firm, the minimum required licensing to perform a commercial real estate appraisal? Is their license current and in good-standing? Do they have a website? Here is an earlier blog article that I wrote that may help you spot an advance fee scammer. Do you need a commercial loan right now? You can submit your 4-minute mini-app to 750 hungry commercial lenders using C-Loans.com. Best of all, C-Loans is free! Download a free list of commercial lenders in your state - CommercialLenders.com. Need an expert witness in an advance fee dispute? Do Hedge Funds Really Make Commercial Loans? Yesterday a commercial mortgage company applied to join C-Loans.com, purporting to be a hedge fund that makes bridge loans on commercial real estate. When we asked them to prove that they were a bona fide hedge fund, and not just a bunch of advance fee scammers, they got a little huffy. Frustrated, I sent an email to my buddies on LinkedIn.com. The question I posed was the following: Are All Hedge Fund Guys Liars? Do Hedge Funds Actually Make Commercial Really Estate Loans? The responses I received were quite interesting. One guy - a guy who I have known for years - replied that he had left the mortgage REIT for which he had worked for nine years - to start his own hedge fund four years ago. I am confident that his firm was a bona fide hedge fund making commercial real estate loans. Other guys replied that they too had met a tons of scammers claiming to be hedge fund managers. These scammers were in fact just a bunch of liars who were just trying to steal application fees. 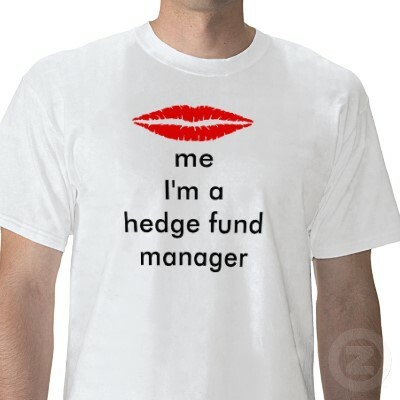 "All hedge fund guys are not liars; but I do understand your frustration, because we (too have run across a lot of ) investors that stated they are a hedge fund or represent hedge funds as their funds advisor. 1. Hedge Fund Directory - Barclays publishes a directory which list all legitimate hedge funds worldwide. The cost of the directory is about $1,100.00 when I purchased mine in 2009. They also publish an electronic version which is helpful in locating funds by investment types. a. http://www.finra.org/Investors/ToolsCalculators/BrokerCheck Use this site to check registration of Managers to see if they are a registered Broker/Dealer. 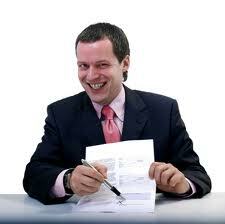 The Manager does not have to be a registered Broker/Dealer, but they should have a Prime Broker. Additionally, any fund with assets in excess of $25MM should be registered as an investment advisor with the SEC. This status can be checked using the same link above then click the link to the right side of the page. If the fund is not registered, then the management company must be registered. Some hedge fund manager get around the requirement by limiting the amount of investors in the fund. b. If the fund or the manager is not registered with the SEC and or IARD then check with the NFA at http://www.nfa.futures.org for the fund or the manager being registered. If the fund the manager or the management company is not registered, then, in my opinion, the fund is not serious about their business. c. If the fund is registered in the Cayman Islands, as so many are, to get around the US regulation, you have to check with the Monetary Authority at http://www.cimoney.com.ky. If the fund indicates they are a Cayman Island Fund, and it is not registered with the Monetary Authority, it is either a fraudulent fund or it is not properly set-up and my advice to you would be stir away. We have had several funds approach us from the Cayman's that were not legitimate. Hope this information helps. Let me know if I can be of further assistance. Hedge funds indeed do make bridge loans on commercial real estate, typically from $2 million to $50 million, at rates and terms comparable to those of hard money lenders. If you need a commercial bridge loan, you can submit your bridge loan request to several hundred bridge lenders by using C-Loans.com. And C-Loans.com is free! 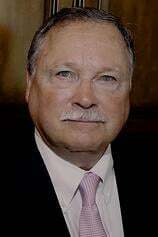 You can also write to me directly, George Blackburne III (the old man), at george@blackburne.com. In the Subject line, please insert, "Hedge Fund Deal."